Our first day starts in Veszprém in the City of Queens. The accommodation is in a relaxing place nearby the Castle and the Old Town. After a refreshing shower take your camera and discover the Saint Michael Chapel which is famous because our first queen Giselle and after Her every Hungarian queen were crowned there. Enjoy the historic places and the unique atmosphere of Veszprém and discover this lovely town before the first cycling day. After the square breakfast take the full equipped bicycles and start the trip in direction of the lake Balaton. This day is a special one because this is the first meeting with the idyllic landscape, the charming villages and the lake. Until Balatonalmádi we use the built bicycle road. After it we change it for the old Roman road which goes next to the coastline. We will see everywhere grape fields which were planted in the Roman times. The accommodation stand still in Balatonfüred the capital of lake Balaton. The most common words in connection of this city are history, culture, wine, and hospitality. We start cycling today in western direction following the coastline on the built cycle road. We can stop for a bath almost everywhere. This day is about the nature, sunshine and the water. The accommodation will be in Badacsony in a charming pension at the foot of the witnessing mountain Badacsony. This wine area is the oldest in Hungary and the wines are excellent with the local meals. On this day we visit in Badacsony the Szegedy Róza House and Museum in which we can see how did the people lived in the XIX. Century in this area. After this we use the Roman way and the Balaton cycle road to reach Szigliget. In Szigliget we visit the 250 years old Eszterházy Wine museum and climb up to the Castle which was used in the Turkish war in XVI. Century. From here we roll across the land of extinct volcanoes, the so called witnessing mountains which are in the heart of the Balaton Uplands National Park. We will cycle trough the oldest Hungarian villages and our accommodation will be in an authentic village in Szentbékálla. We use this day hidden roads which go trough charming little villages like Köveskál, Szentantalfa, Óbudavár. We discover the beauty of Balaton Uplands National Park and the idyllic landscapes with grape fields. Today we go trough Nivegy valley wine area which played important role in wine export soon in the roman times. We finish the trip in a nice quiet hotel in Tótvázsony at the foot of Bakony mountain. We roll down to Pécsely and Aszófő to reach the city central of Tihany where we could spend a whole day without boring. We visit the 950 years old Benedict Abbey which was built to the top of the extinct volcano. From here we can take a look down to the middle of the peninsula to the old caldera and the Inner lake. After the sights of Tihany we are heading to Koczor Wine cellar for square picnic lunch and wine tasting. After lunch the accommodation in Balatonfüred is just 25 minutes. 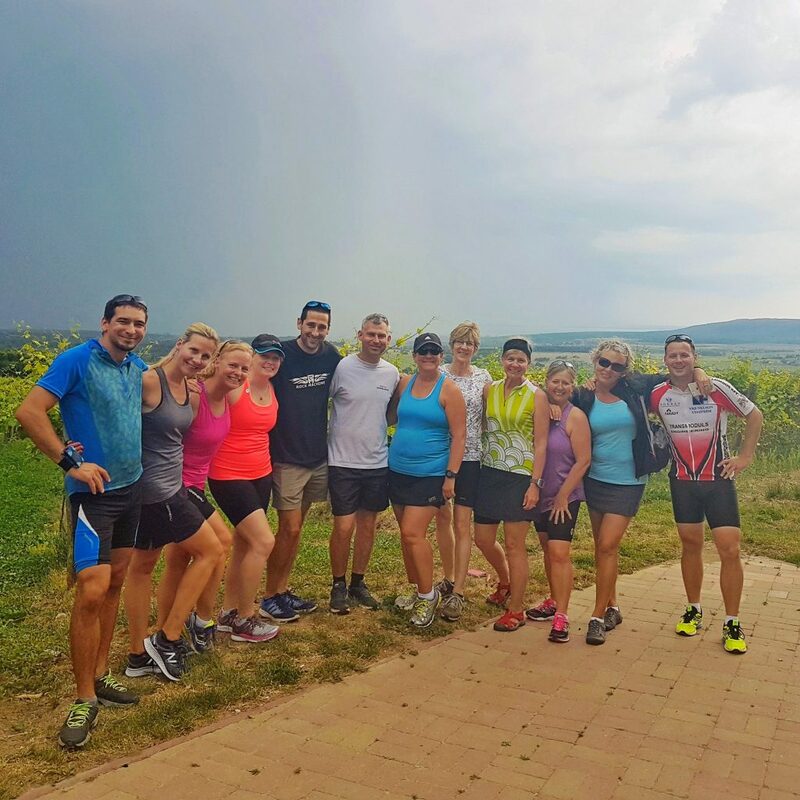 On the last cycling day we use the Balaton cycling road which leads next to the coastline. We will have the opportunity to stop for a refreshing bath or an ice cream as many times as we want. We follow from Balatonalmádi the embankment to take a last look to the lake and we turn in direction of Veszprém. This day is an ideal cool down after the whole bike tour. We arrive in Veszprém in the right time for a nice walk or shopping. The dinner will be the last moment to enjoy the holiday and Hungary because the next day is the end of the tour. 7 nights accommodation at 3-4-star hotels and charming country inns with familiar atmosphere, high quality and superb surroundings.